Phew. It’s finally done. After spending dozens of hours performing hundreds of water changes, with over 40 different gravel vacuums, we believe that we found the best gravel vac for every size of aquarium. Today, I am going to share our findings with you. By the end of this guide, you will know every essential detail about gravel vacuums, including which is the perfect one for your tank. Do you need a gravel vacuum? 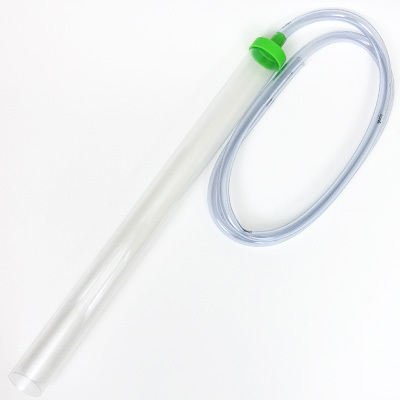 A gravel vac is a rigid plastic tube, typically 2 inches (5 cm) in diameter, attached to a hose. The tube sits inside your aquarium and allows you to both clean your gravel and siphon water out of your tank during weekly water changes. While it might look simple, a gravel vacuum is a surprisingly handy piece of equipment. With the help of gravity, a gravel vacuum will continuously drain water from your tank until you remove it from your aquarium. Regular water changes are an unavoidable part of fishkeeping. But at least you can speed up the process by using a gravel vacuum to drain water straight into your bucket. Over time, fish poop, uneaten food, plant debris and other waste fall to the bottom of your tank, getting stuck between the gaps in your substrate and quickly forming a thick sludge. By placing the tube end of the gravel vac over your substrate, you can vacuum all this gunk away, keeping your tank neat and tidy. Oh, and it’s not one or the other. You can clean your substrate and empty your tank at the same time! Yes. I consider a gravel cleaner to be an essential product for all aquariums – even those without gravel! Why? Because water changes are a vital part of keeping your tank clean and healthy. And, a gravel vacuum provides an easy way to siphon water out of your aquarium. It sure beats using a cup or pitcher. Besides, your substrate isn’t going to clean itself – and in my opinion, a gravel vacuum is the easiest way to remove the built-up poop, uneaten fish food, plant debris and other gunk that has fallen between the cracks. However, if you have a larger tank, consider a good aquarium water changer instead. A water changer is essentially a giant gravel vacuum that connects to your faucet, eliminating the need to carry buckets of water back and forth through your home. So if you are considering skipping a gravel vacuum, I recommend that you reconsider. 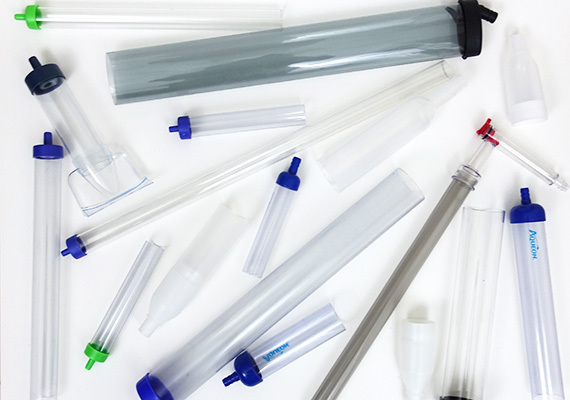 It will soon become one of your most commonly used pieces of aquarium equipment. Consisting of little more than a hose and hollow tube, this is the most popular type of gravel vacuum. Cheap and available in a wide range of sizes, these are a favorite among beginners and experts alike. The downside is that in order to clean your gravel, you must also drain water from your tank. Electric gravel vacuums operate a little differently, and they don’t drain your aquarium. Instead, this device automatically pumps water through it, trapping any uneaten food, poop and other gunk in a filter. The advantage is that you can spend as long as you want cleaning your gravel – you are not limited by the water in your tank. However, this comes at a cost. For the price of a good electric gravel vacuum, you could afford up to five of the siphon-style gravel vacuums. Also, there is no perfect electric gravel vacuum currently on the market. During testing, we needed to modify each gravel vacuum to get the most out of the product. For example, we found that tiny pieces of waste escaped the vacuum’s bag and clouded up the tank. While we could have waited for the filter to take care of it, we were able to trap even the smallest pieces of gunk by adding a fine filter media to the gravel vac. Electric gravel vacuums are often purchased in addition to a siphon-style gravel vacuum. After all, you still need a way to drain the water from your aquarium when performing a water change. Despite the limitations of electric gravel vacuums, they remain a popular accessory in the aquarium community. While it can be difficult to tell the difference when shopping online, the vacuum tubes found on gravel vacuums come in a wide variety of sizes. Which is right for your tank? Well, it’s actually really simple – it all depends on the size of your aquarium. First, consider the depth of your aquarium. If you don’t want to submerge your arm up to your shoulder, a deeper aquarium needs a longer vacuum tube. Alternatively, you could always grab a good pair of aquarium gloves to keep your hands and arms dry. All told, there are three different sizes. The standard-sized opening on a gravel vacuum is 2 inches (5 cm) and is suitable for aquariums 20 gallons and over. 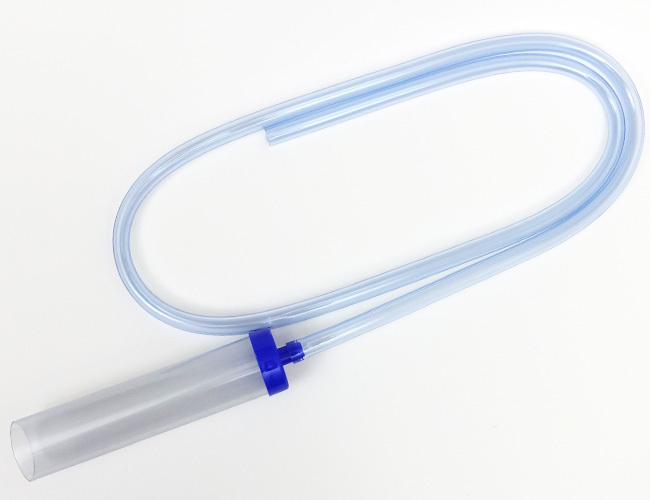 The standard-sized opening on a gravel vacuum is 1.5 inches (4 cm) and is suitable for aquariums ranging from 5 to 20 gallons. The standard-sized opening on a gravel vacuum is 1 inches (2.5 cm) and is suitable for aquariums up to 5 gallons. It is important that you choose the correct size because a gravel vacuum with an opening that is too wide will be difficult to move around your tank. However, those of you with larger tanks may also want to keep a small gravel vac on hand. You see, the mini-gravel vacuums work exceptionally well at precision vacuuming. Cleaning around plants, decorations and tight corners is nearly impossible with a standard-sized gravel vacuum – not so with a mini-gravel vacuum! I personally use both a standard-size and a mini-size vacuum. The larger gravel vac is used to clean open areas of gravel, while the small one is used to clean between plants. Because gravel vacuums are a fairly inexpensive product, I decided to round up and test all the most commonly used gravel vacuums on the market. Well, things ended up getting a little out of hand, and before I knew it, I had amassed a collection of over 40 different gravel vacuums. From your generic Top Fin or Imagitarium gravel vacs, found on the shelves of your local PetSmart or Petco, to the more specialized Python gravel vacs – nothing was off limits. Our goal was to find the best gravel vacuum ever! And with a testing pool of over 40 gravel vacuums, I can confidently answer that question. Now, we had to come up with a way to test them. We wanted to test each gravel vacuum on an appropriately sized tank. After all, aquariums come in all different shapes and sizes, and you don’t want to buy a gravel vacuum that is too small or large for your tank. If so, then it’s going to cause you unnecessary stress each time you perform maintenance on your tank. A 5-inch (13-cm) gravel vacuum is too inefficient for a large aquarium, cleaning your gravel would take all day. Similarly, a gravel vacuum that is too large for your tank will not only be cumbersome to use but will also drain water too quickly. Each tank was also set up with an appropriately sized aquarium heater, filter outlet and fake plants to recreate obstacles that would be found in a regular tank. As for larger-sized aquariums, we used one of my stocked 40-gallon display tanks. Meanwhile, my local fish store was also kind enough to allow me to test gravel vacs on 60-gallon, 100-gallon and 200-gallon tanks. It soon became apparent that while some gravel vacuums performed noticeably better than others, every gravel vacuum we tested was capable of siphoning water from the aquarium. What really separated them was the build quality – the hosing in particular. When using a gravel vacuum, you control the flow of water draining from your aquarium by kinking and unkinking the hose. Some hoses, like that of the Python Pro-Clean, were soft and flexible. This offered greater control over the water flow when compared to a thicker, more rigid hose like that of the Aqueon Siphon Vacuum, which resulted in jerkier movement. Full disclosure: Gravel vacuums are little more than a tube and hose, a design repeated by every brand tested. Because of this, all gravel vacuums tested were able to both clean gravel and siphon water to some degree of effectiveness. However, when graded against other areas of performance, such as how easy they were to start, quality of materials and price, it soon became clear who the winners were. If you want a gravel vacuum that is going to easily and reliably clean and drain your tank for years to come, then read on to find the gravel vacuums that performed the best. If you have been fishkeeping for a while, then you will be unsurprised by my top pick for tiny tanks, the Python Pro-Clean. Python makes a wide range of exceptional water changing products. Best of all, they are manufactured right here in the United States. It was Python’s quality design that beat out the competition. 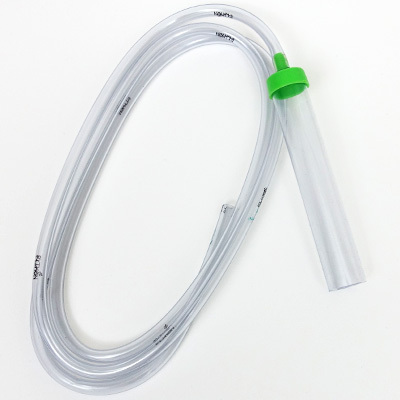 The silicone hose easily flexed and returned to shape when squeezed, providing precise control over the flow of water being sucked out of the tank. Meanwhile, the vacuum tubes were durable and made from a thicker plastic than any other brand of gravel vacuum. The mini size is perfect for your fish bowl and other tiny aquariums. 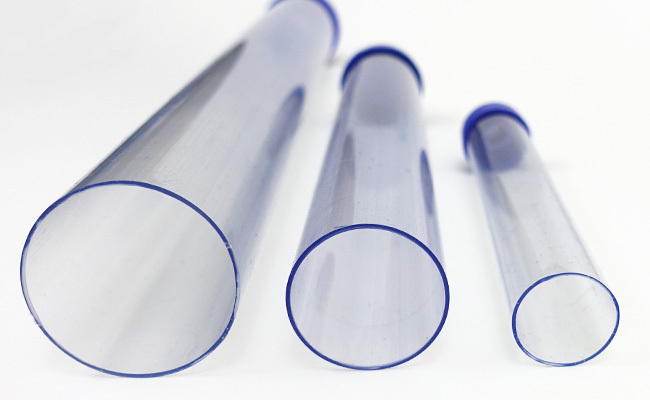 The Small-Tall size has a much longer tube, easily reaching the bottom of most nano-cube tanks. All the above Python Pro-Clean models feature a vacuum tube diameter of 1 inch (2.5 cm) and 6 feet (1.8 m) of hose. While I love the quality of Python, they don’t offer an appropriate product for 10 to 20-gallon aquariums. The next size up that Python offers features a 2-inch opening. Unless your tank bottom is sparsely covered, I found this opening to be too large for precise and effective gravel cleaning. Brands that offered a 1.5-inch (4-cm) opening fared much better. Okay, so Lee’s Ultra Gravel Vac comes with a few extra bells and whistles. First, it comes with an oval-shaped, wide-mouth attachment. This piece of plastic connects to the vacuum tube and provides about 20% more surface area. In truth, for this sized tank, I didn’t find the attachment to be particularly helpful. And both the self-starter and hose clip failed to impress. If you strip these extras away, you are left with a perfectly sized gravel vacuum for small aquariums, one of the best on the market. I am also happy to state that Lee also manufactures their gravel vacuums here in America. Once you get to medium-sized aquariums, Python once again outclasses the competition. 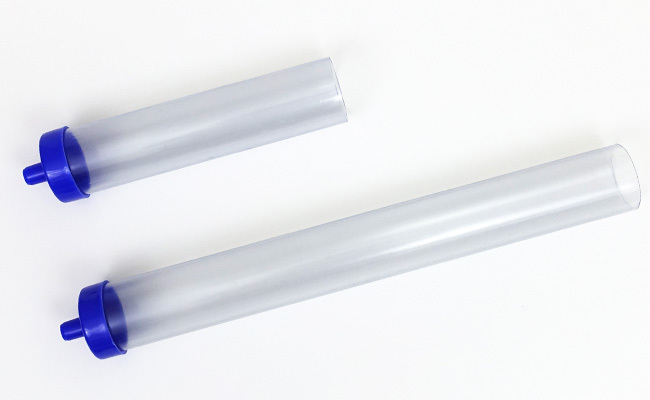 Depending on the shape of your tank, you may find that you need a longer gravel tube to reach the bottom of your aquarium. Each of the above gravel vacuums features a 2-inch (5-cm) diameter opening on the tube and 6 feet (1.8 m) of hose. Okay, once we get to this size, a gravel vacuum probably isn’t the right tool for you. While you could use the extra-large Pro-Clean, which Python claims is suitable for aquariums up to 75 gallons, you might find that it’s more trouble than it’s worth. You see, for a large tank, a 20% water change can require at least two or three trips through your house with an overflowing bucket. Even if you manage to complete the task without spilling a drop, it’s a lot of effort – especially if you have to go up and down stairs. 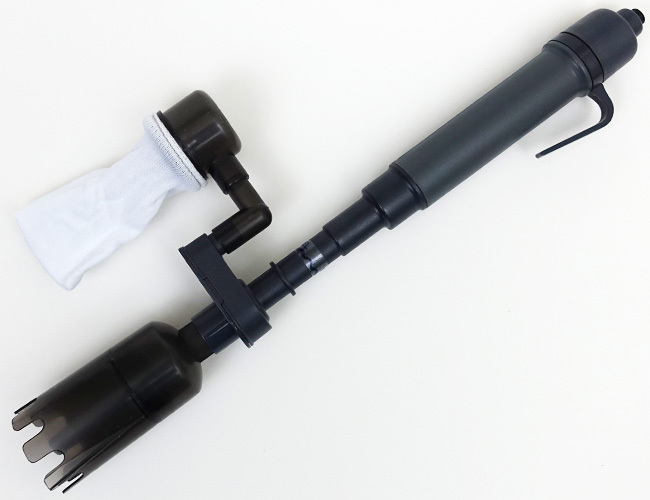 The Python Water Changer is essentially a gravel vacuum that connects to your faucet with a long hose. With this handy device, you can clean your gravel while water is sucked out of your tank and emptied directly into your sink. Similarly, you can use the faucet to fill your aquarium with fresh water. Yep, you will never have to carry a bucket of water through your house again! Once you try out this water changer, gravel vacuums feel clumsy – there is no going back. Since swapping over to a water changer, I have cut down my tank maintenance time by 20 minutes! Want more information? 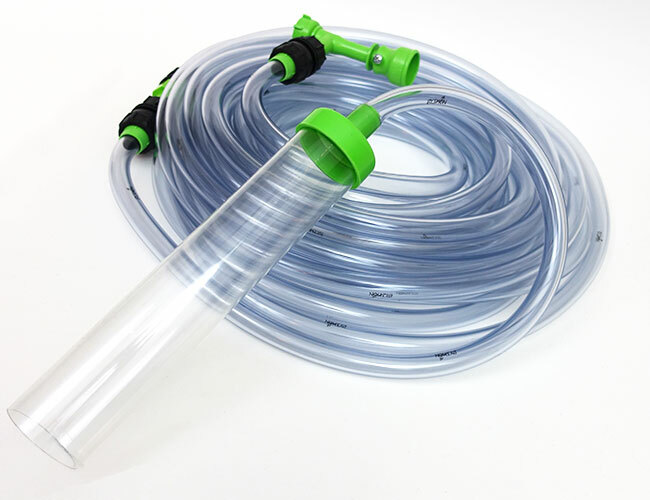 Read FishLab’s complete review of the Python Water Changer or check out our best water changer guide to see how it compared to the competition. You can’t have winners without losers. While my recommendations above outperformed, the following gravel vacuums fell short in one way or another. That doesn’t mean that these were necessarily bad. I mean, every gravel vacuum both sucked water and removed sludge from the gravel to some degree. It’s just that, based on testing, FishLab’s top picks are better. I was surprised that the most popular gravel vacuum sold on Amazon.com, Tera Pump Aquarium Cleaner was actually one of the worst that we tested. While the ridged hose of the Tera Pump might allow it to bend without kinking, it has a serious drawback. Over time, sludge and other waste will accumulate here, and it is almost impossible to remove. It works better at sucking water out of aquariums than cleaning gravel. 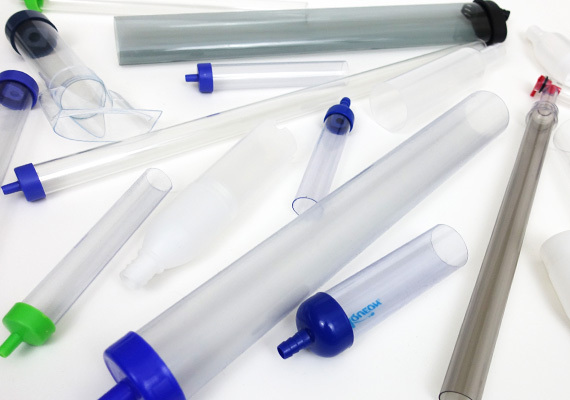 The Aqueon Siphon Vacuum comes in a wide range of sizes. Unfortunately, Aqueon decided to use the same foul-smelling hose that they do on their water changer system. Seriously, it smells that bad! The hose also stayed in the same coiled shape it was inside the packaging. While it slowly straightened out over the following weeks, it initially made using the gravel vacuum difficult. While we did like that Aqueon included a clip to help keep the hose end inside the bucket, it didn’t make up for the hose’s flaws. While every other gravel cleaner opted for a round vacuum tube, Marina’s Easy Clean Gravel Cleaner went with an oval design. While this admittedly made cleaning in the corners of the test tank an easier task, the offset location of the hose appeared to catch gravel, requiring manually unclogging it on more than one occasion. The Imagitarium Aquatic Gravel Vacuum might be readily available on the shelf of your local Petco, but it was more expensive and performed worse than similar products manufactured here in America. Its hose also had a strong chemical smell. While I love the Fluval Edge range of aquariums, their similarly branded accessories can be hit and miss. Unfortunately, in the case of the Fluval Edge Gravel Cleaner, it’s a miss. The hose came clamped, restricting water flow. Once successfully unkinking the hose, the angled tube required me to hold the gravel tube on an angle when cleaning gravel, making it difficult to control in smaller tanks. Fluval’s second attempt at a gravel vacuum, the Fluval Multi Substrate Cleaner performed much better. I particularly liked the inclusion of a flow control valve at the top of the vacuum tube. It allowed me to adjust the flow of water without kinking the hose. Unfortunately, the vinyl hose is split into two and requires a pump bulb to attach in between. This product is of poor quality and is another accessory that requires maintenance. The TOM Aquarium Vacuum Cleaner featured an angled neck with a pump bulb incorporated directly into the handle. Unfortunately, this handle made the gravel vacuum difficult to grip and provided no advantage over the more conventional style of gravel vacuum caps. 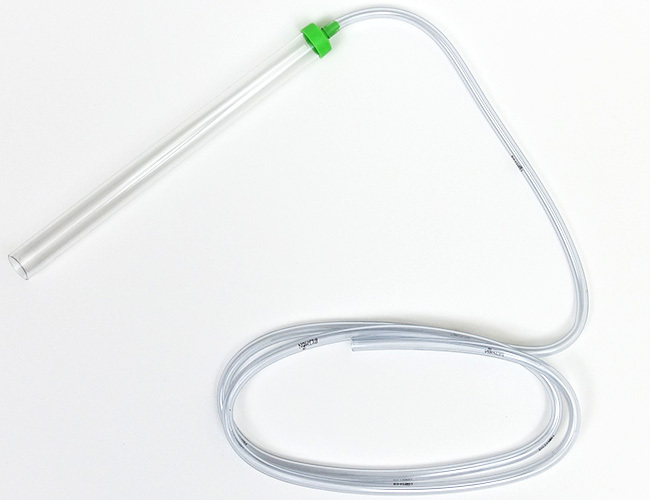 At 5 feet (1.5 m), the hose length was shorter than FishLab’s top picks. The Aquaneat Aquarium Gravel Cleaner was a near identical design to the Tera Pump, including the same flaws. The Penn-Plax Aquarium Gravel Vacuum promised it all. With its handy attachment, it not only claimed to clean gravel and siphon but also scrape sludge from the glass of your tank. This worked better in theory. In practice, the attachment was flimsy and slightly bowed. Disclaimer: After testing every major brand of electric gravel vacuum, it is my opinion that the siphon-style is superior in every way. While this is undoubtedly the best electric gravel vacuum I tested, please be aware that I recommend it with reservations. What can I say… Eheim knows how to make good aquarium products. Their Everyday Feeder took first place in FishLab’s best automatic fish feeder review. So, I was not surprised when their electric gravel vacuum, the Quick Vac Pro, surpassed the competition. Running off 4 AA batteries, we consistently got just over 4 hours of use. While this falls short of the 4.5-hour runtime that Eheim claims, it still beat out the other electric gravel vacuums we tested by a long shot. The cost of disposable batteries soon adds up. If you plan to use this as a long-term solution, buy some good rechargeable AA batteries, like these. I put this gravel vacuum to the test on an Oscar tank and a pleco tank at my local fish store. The Oscar in question was a notoriously messy eater, with the majority of the food falling to the gravel. As for the pleco? Well, let’s just say that his monster poops definitely put this gravel vacuum to the test. To be honest, I was actually impressed at just how well the Eheim Quick Vac performed. It effortlessly lifted debris that had fallen into the crevices of the gravel. Even the sticky pleco poop wasn’t a challenge and was quickly sucked into the vacuum chamber. As for noise? Despite being electric, the sound given off by the motor was hardly noticeable. My biggest complaint is the battery compartment. If it is immersed or splashed, water will get inside and cause the gravel vac to stop working. However, this was easily overcome. The solution? Silicone tape (this one, to be precise). Of course, this meant I had to reapply the tape each time I swapped out the batteries, but at least it was a solution. Like with every automatic gravel vacuum, I recommend adding filter floss to the vacuum chamber. 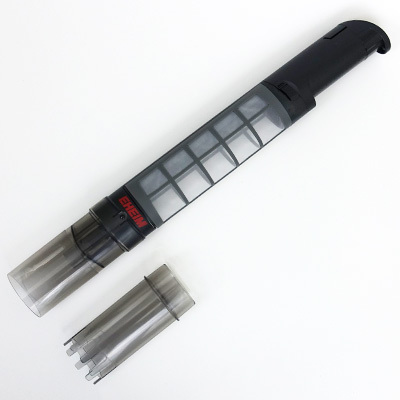 It prevents small pieces of debris from escaping and turning your aquarium water cloudy. This is essential if your gravel is covered in a layer of sludge. When it came to electric gravel vacuums, there wasn’t a whole lot of competition. In fact, there are just a few models to choose from. I had high hopes for the Nicrew Rechargeable Automatic Gravel Vacuum. With a built-in rechargeable battery and being significantly more affordable than FishLab’s top pick, it had a lot of promise. Unfortunately, the Nicrew Rechargeable Gravel Vacuum had comparatively poor suction and offered a measly 2.5 hours of runtime – although we struggled to even get close to the 2-hour mark. The next contender, the TOM Aquarium Mr. Cleaner barely sucked. Running on two C-sized batteries, this device failed to offer a reasonable amount of suction. But the biggest problem was with the mesh vacuum bag. The elastic mesh bag stretched over the blower and was easily removed. During cleaning, the bag caught on aquarium decorations and driftwood, separating it from the body of the vacuum and releasing gunk throughout the tank. Penn-Plax offered one of the cheapest electric gravel vacuums on the market. The Super Battery Powered Gravel Cleaner is a good reason why you should not make purchasing decisions on price alone. During the testing of the first one, the vacuum tube was a loose fit and fell out when I held the product vertically. The second one had a better fit, but it still failed to impress with its suction. The Fluval Aqua Vac Plus was the only electric gravel vacuum we tested that could also pump water out and into a bucket, similar to a traditional siphon. However, if you have a larger tank, you will likely be unimpressed at the rate at which this siphon drains your tank. While we had no issues with reliability during testing, you should be aware that at the time of writing this, over 50% of reviews left on Amazon were 1-star. Many customers report that their unit died soon after use. … As long as you get a good one. Fortunately, this guide contains everything you need to find the perfect gravel vacuum for your aquarium. What gravel vac do you use? Let me know in the comments below! I’m based in the U.K. and find your site very helpful. I’m just wondering tho – above you don’t really talk about the type of substrate being cleaned which surely has a big impact on the cleaner used. I have a very sandy gravel. I bought a cleaner from a fish shop yesterday and the sand just flowed through the filter holes on the cleaner so I ended up cleaning it in a bucket and putting it back – not ideal. What would you recommend for fine gravel/sand? I know you are US based but I may find the brand here. Glad I am helping those of you on the other side of the pond. You are correct, my review was tested using small to medium sized pebbles. Sand substrates are trickier to test as you don’t actually put the gravel vacuum tube on sand. 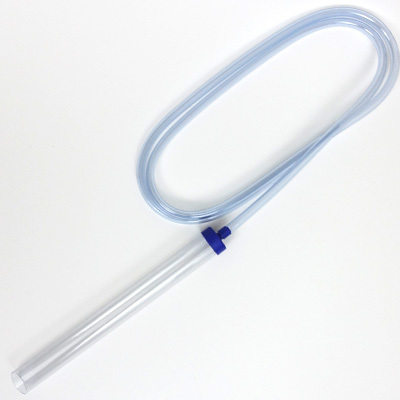 For my last sand tank, I taped a chopstick to the end of the tube and used this to stir the sand while the siphon tube sucked off any floating debris that broke loose. How far the chopstick protrudes will take a little trial and error as there is some variation in suction depending on the gravel vacuum and tubing used. But you should be bale to eventually position it in a way that minimal to no sand is sucked up while anything resting on the surface is removed as the chopstick stirs through the sand. Thanks so much for taking the time to review and comment on all these options. I have spent a ridiculous amount of time trying to figure out what option is appropriate for our 2.5 gallon betta tank. After a while on Amazon, all the options began to blur together and I wasn’t even sure which were credible reviews or authentic products. For something as simple a device as these are, it was ridiculously complicated to figure out what to purchase! Your reviews seem objective and are certainly thorough. I appreciate that! Thanks again. I’ll agree with you here. When sourcing the products, I found buying gavel vacuums online is the worst. They all look the same in the pictures, the 40 inch tubes look identical to the 10 inch tubes. I do stress that all gravel vacuums I tested were capable of both draining and cleaning, so even if you choose another brand, it will work to some degree. The main difference is build quality and size and lengths of tubing, which make the whole experience more personalized for your tank. I’m glad I could help! Sorry for the silly question but, what kind of filter floss did you use with the Eheim device? I don’t recall the brand, it was just some generic filter floss I bought off amazon. You know, the stuff that you pull apart or cut to suit your own filter? I really like your site – great for me who is a newbie. Unfortunately i live in the Netherlands and many of the products you are mentioning (recommending) are either unavailable or can only be purchased from far away meaning shipping costs are just adding too much to the price. Some examples, Crylon Fusion, Python waterchanger, GE silicone so living here, I have to find alternatives which is surprisingly hard. Anyway I wanted to get a waterchanger and since the Python you recommended is nowhere to be found, i instead bought a JBL Aqua in out. Turns out its almost identical to the python. Unfortunately i have forgotten what i learned in the physics classes in school so turned out to be a waste of money. Perhaps you should mention that these warerchangers most likely are OK for just draining your tank, but to use as a gravel cleaner you need a bit more power. Here is my situation – i live in an apartment – the lowest positioned tap i have is just slightly higher than the tank itself. With water running at full speed, the suction i get is nowhere near enough to clean the gravel. Water pressure is normal (at least for my country) so nothing i can do about that. There are lots of posts about this for the Python as well (and of course its the law of physics at play, not the brand name). Im now stuck with a long hose and some bits and pieces, costing a minor fortune and pretty much useless so here is what i ended up with (which works). I have a battery powered Fluval Pro Vac Plus (tried several others but they did not work well) and have now attached the hose i got to the JBL. Long enough to throw out on my terrasse. It can now be used to clean the gravel and drain water in one go, without the need for buckets. I have a second hose which attached to a tap is used to refill the tank. Not exactly what i wanted. I wish I could find some info such as – what height difference (tap to tank) do you need to create a proper vacuum – are there any alternatives which comes with an electric pump instead of using water, are there any pumps available which can somehow be attached (and adjusted to get the right vacuum) and how about turning an airpump into a powerful enough waterpump. Finally it seems a big waste if you need the tap running, using hundreds of liters or gallons of water, just to remove water from your tank. Any comments would be welcome but i guess for now im stuck with what i have. I honestly wish I could make product suggestions for international readers, but unfortunately, it would be almost impossible to accomplish this. I understand this does make things difficult, but from my research, fish keeping brands and products on the other side of the pond are vastly different to what we use here in America. Does the Netherlands have a local fishkeeping community? When I first started out many many years ago, these were a huge help in getting me up to speed with learning the ins and outs of the hobby, including product recommendations. Although, back then, we didn’t have the internet. Still, people in your local community have probably faced similar problems to you and may still offer great advice, I’m sure some will live in apartments too and have already solved any issues you face. I’m terribly sorry to hear about your water changing issues, this can be one of the more time consuming and difficult parts of the hobby – the layout of your home can impact it dramatically. As for the water changer, is there a faucet outside the apartment your water changer could reach? I know some people throw their 50 ft tubing out a window of their 2 story house to a tap in their backyard, which solves the height problem. However, it may not be feasible for your apartment. You may even be able to get away with running the end of the water changer off your balcony and letting it free fall, using it as a more traditional siphon, avoiding the water waste from the faucet – I’m not sure what’s below your balcony, so this may or may not be an option. Both of these should produce adequate suction for gravel vacuuming with the water changer head. The other route is a water pump as you suggested. For this you would probably be best speaking to a plumber to determine the size you need – I have little experience using a pump with a water changer. I use ” Pro Aquarium Gravel Cleaner Vacuum Pump” that is The Best electric gravel vacuum which you don’t have in your lists. You are talking about a pump, which isn’t actually a gravel vacuum. For this review I only tested gravel vacuums, not pumps.